Dropping a long clutch putt in a tournament or a weekend round playing $1 a hole has to be the best feeling in golf. 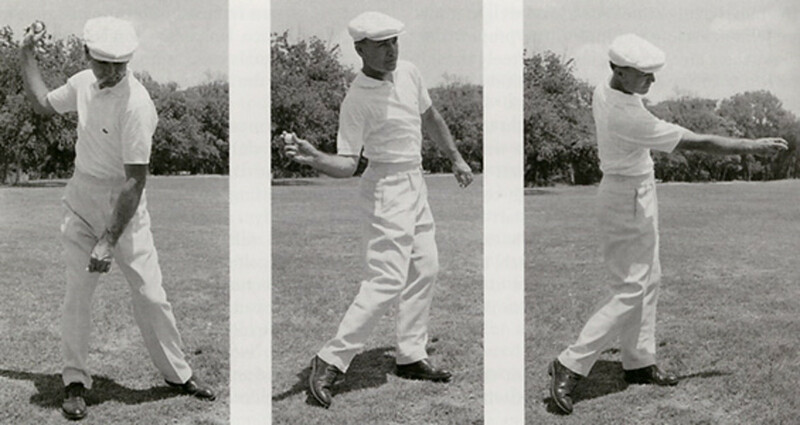 Dropping putts consistently requires a mix of skill and tenacity. 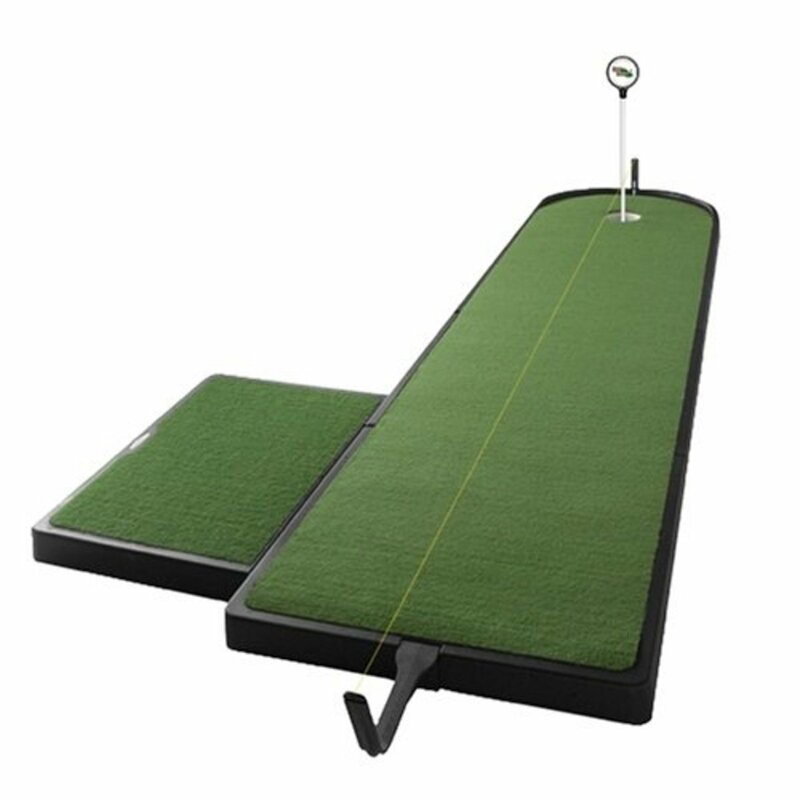 Developing the skill for reading reading greens and the feel for distance will mean making more putts and lower scores. 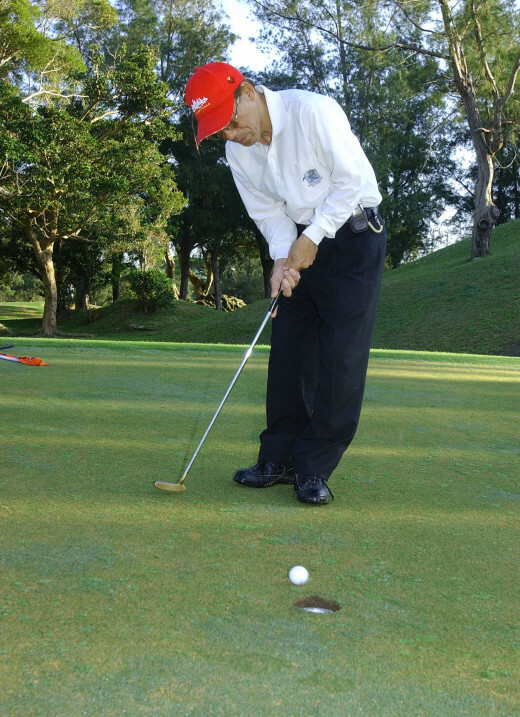 The great Ben Hogan said "There is no similarity between golf and putting; they are two different games, one played in the air, and the other on the ground." Reading greens effectively requires keen observation. The first is slope. Since golf courses are built on rolling terrain, it can be difficult to tell whether there is a slight hill, or event the direction of the hill. Sidehill, uphill, and downhill slopes all have different challenges. Walk around the green past the hole, opposite where the ball sits. Did you feel that you were walking uphill as you walked away? Walk around to the left and right and feel the terrain through the exertion required. Feeling the exertion required to walk the green is more important than thinking about the exertion. The second key observation is color. As you make this walk, how does the color of the green change? Pay particular attention to the direction in which the green is shiny and dull. Putting into the shiny direction is "putting with the grain" and putting into the darker color is "putting into the grain." Putting into the grain means the grass between the hole and your ball is bent toward you and this grass bent toward you will slow down your putt. The opposite is true if green appears shiny between your ball and the hole. Putting into the grain allows for a more aggressive stroke and the ball will break less. 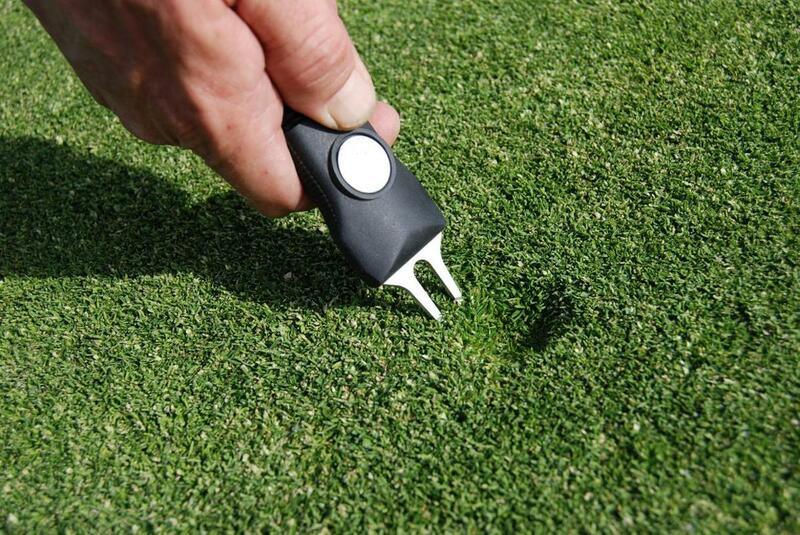 In fact, most into the grain uphill putts must be read and aimed inside the cup, especially within 3 feet of the hole. Generally the grass grows toward the setting sun so putting in the easterly direction will be into the grain. The direction of water draining from the green drives grain too. If you are having trouble seeing the grain, assume the grass is growing toward the setting sun. If the green slope is significant, you can usually assume an uphill putt is into the grain. The third main consideration is the length and quality of the grass. A green cut short will roll much faster than longer grass. Dry greens are much faster than damp greens. Consider where the sun has been shining on the green and where there is shade. Sunny areas will be drier and faster. Area with steady wind will be drier than areas that are still. Paula Creamer, one of golf's great female players is shown here getting warmed up before a round in the UK. All pros spend lots of time dialing in the short game, especially putting. 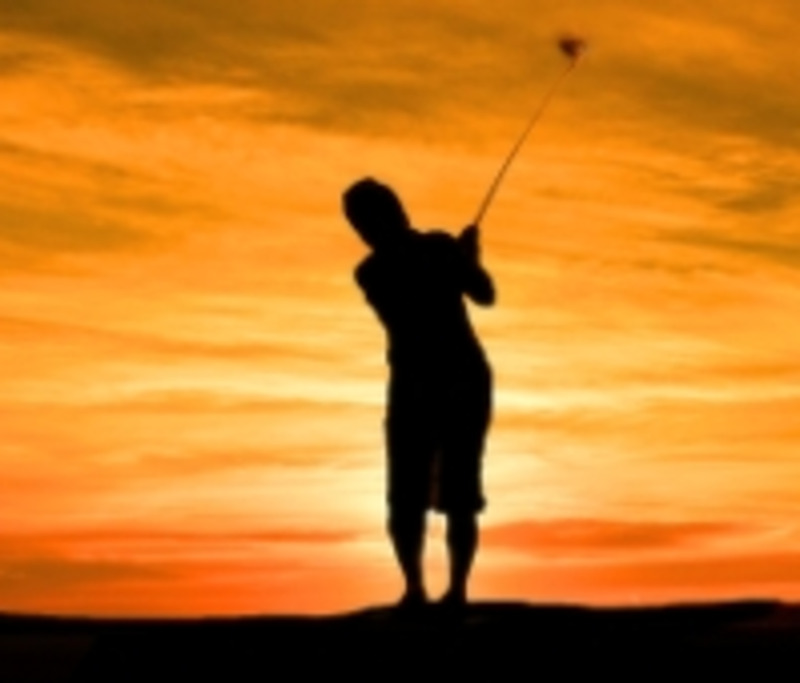 On the scorecard the twelve foot putt and the 300 yard drive both count as one stroke. All of these observations provide an additional key element, they keep you in the moment. All your focus is placed on the current condition, the color, the feel of green as you walk across, the way the sun is shining, the areas of shade, whether it is windy or still. Practice makes perfect. 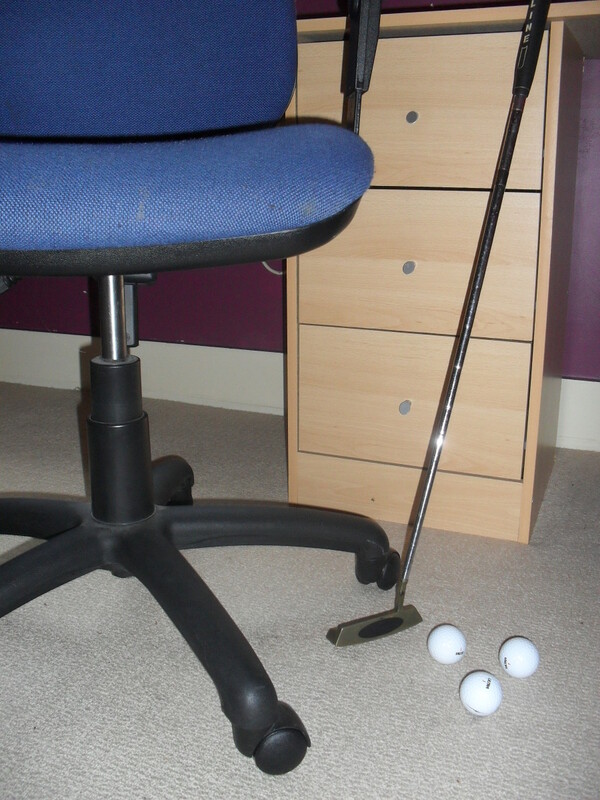 Try reading greens on your local putting green, dropping putts on different slopes around a cup. See the color changes as you walk around the cup. Feel the difference in exertion. Now line up and use your senses to drop the putt. 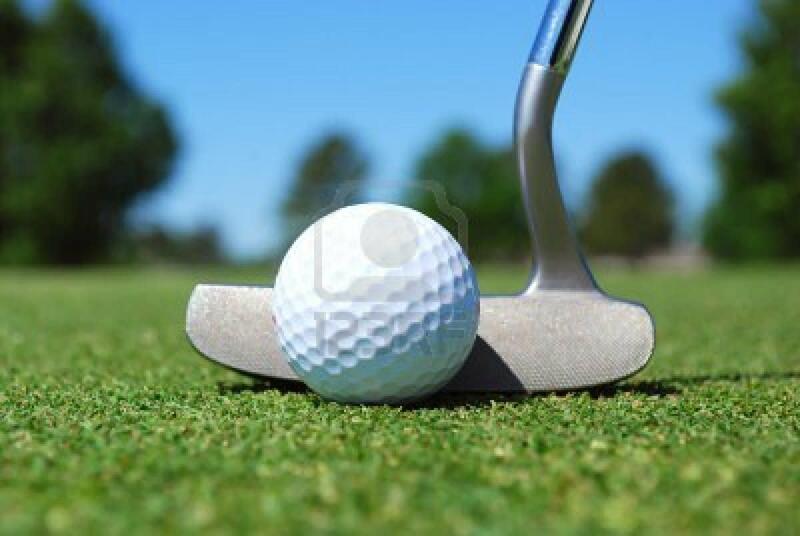 Pick your target line, make a few practice swings at the speed you feel is right and drop the putt. Once you ingrain this series of observations you will start dropping longer and longer putts and your lags will be easy tap-ins and your $1 per hole wins will start adding up!